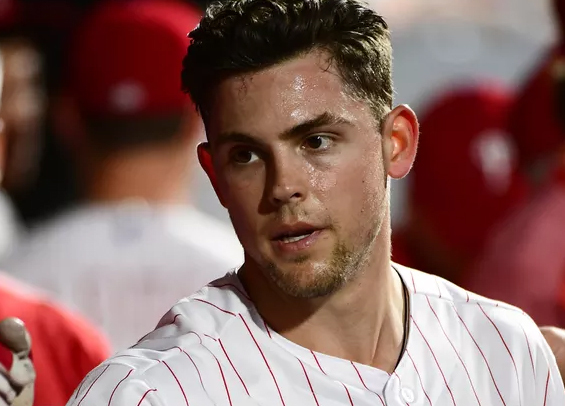 The Phillies offense, buoyed by a scrching hot Scott Kingery and his three-run blast, put up a ten-spot in the first innings on Tuesday night en route to a 14-3 win over the Mets at Citizens Bank Park. The Phillies sent 14 hitters to the plate and collected six extra-base hits in the opening frame, including two home runs. Kingery drove in five wins in the winning effort. He finished with three hits on the night. Over his last seven appearances, he's hitting .647 with a homer and five RBIs. "It’s getting more and more difficult to not have him in the lineup," manager Gabe Kapler said. Kingery is swinging too hot of a bat to not be in the starting lineup, but he's blocked by Maikel Franco, Jean Segura, and Cesar Hernandez. Of the three, it's obvious Segura's starting role at shortstop is safe, leaving Franco and Hernandez. Franco has performed extremely well hitting out of the eight-spot, so that leaves Hernandez who has struggled at the plate to be the odd man out. The thing is, Hernandez could be the club's biggest trade chip come the trade deadline, so they want to have him cliciking on all cylinders to maximize his value. The other star of the night was Jerad Eickhoff who tossed four scoreless innings in relief and collected six strikeouts. He was called up to join the Phillies' bullpen just hours before first pitch. Jean Segura left Tuesday's game with hamstring soreness. Though not believed to be serious, this could potentially be a short term opportunity to get Kingery into the lineup on a more regular basis. Todd Zolecki of MLB.com first reported the move on Wednesday morning as Nick Pivetta was clearing out his locker at Citizens Bank Park. Nick Pivetta has packed his bags. Had no comment, but it appears he had been optioned. Eickhoff will slide into the starting role vacated by Pivetta.